Free Estimates, Free Call out. Garage Revamps was established after it became evident that people were disposing of concrete sectional garages that only required a revamp i.e. new roof, fascias, door, windows etc. Garage Revamps is a family run business of two generations, with over 30 years experience of specialising in repair, refurbishment and maintenance of existing garages. If existing garage is beyond economical repair we also supply and erect new concrete sectional garages. 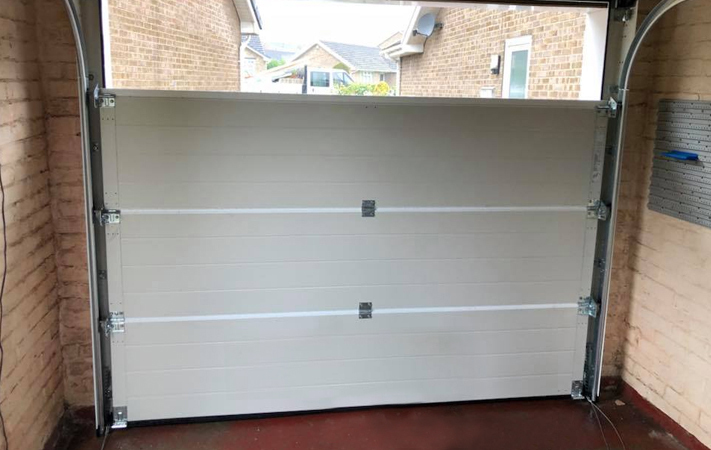 We will transform your garage using the highest quality, maintenance free galvanised steel, plasticol coated steel and UPVC products which come with manufacturers guarantee for up to 20 years. All insurance works undertaken i.e. fire, storm, malicious damage, accidental damage also burglary’s and attempted break-ins to garages. For a free, no obligation quotation please contact Garage Revamps on 0800 3280279 to arrange for an onsite inspection by one of our qualified staff. Garage Revamps WILL beat any genuine like for like quotation. Free Estimates, Free Call out All insurance and fire work undertaken. 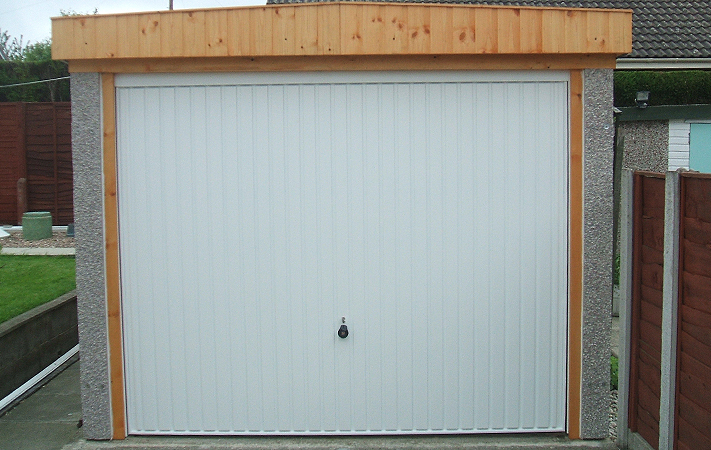 Doors can be tailor made to fit any garage or industrial unit, all come guaranteed, some for up to 10 years. Garage Revamps WILL beat any genuine like for like quotation. Sit Back and let us do the work. Garage Revamps can install an efficient guttering and fascia system to your roof, removing any possibility of future damage to the side of your garage. Garage Revamps is a family run business of two generations, with over 30 years experience of specialising in repair, refurbishment and maintenance of existing garages. Your garage could be refurbished even if in poor condition or aged. Various options are available. A free no obligation site survey carried out at your convenience. We supply and fit Hormann doors because in our experience they are the leading manufacturers in quality and security they provide the widest possible choice, they offer traditional opening doors, wooden doors, galvanised steel doors, aluminum doors, security up/over doors and sectional doors with patented safety features, all at competitive prices. Tried and tested top quality products widely used throughout the UK. Just let us know what type of door you require and we’ll offer you constructive advice on all aspects of security, child safety, electrical and maintenance issues. Doors can be tailor made to fit any garage or industrial unit, all come guaranteed, some for up to 10 years. Technological advances in manufacturing over the last few years have led to an increase in security, style and ease of use. Garage Revamps have embraced this new technology and offer it as standard. At the end of the day your garage is an investment, it adds value to your property that will increase over the years as well as giving you the peace of mind of having your car protected from the elements and potential thieves. 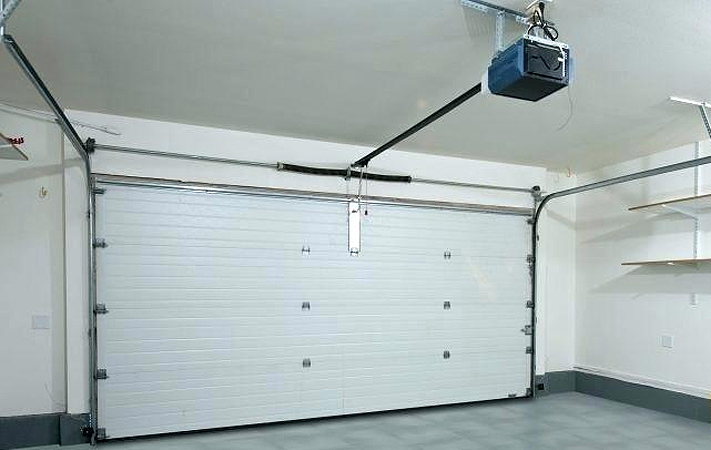 The Hormann series 2000 garage doors are undeniably attractive in appearance. With a range of designs that comprises of single and double up/over doors in steel, timber and GRP. They are well defined styling and their ability to bring an appeal and individuality to your home that will charm the eye for many years to come. You can operate a Hormann automatic door as conveniently as your TV set. On the press of a button, you can drive into your garage, protected from all weathers. When it’s dark, the direct route affords you greater safety and security. It goes without saying that Hormann doors and operators are tested by TUV (German Technical Inspectorate) as a single safety unit. Choose a Hormann sectional garage door and you benefit from the know how of an international brand, based on decades of experience. Hormann sectional doors are characterized by top grade materials, precision workmanship and high degree of operational convenience and functional safety. These high quality doors open vertically upwards and are suspended under the ceiling to save space. All insurance and fire work undertaken. Profile 3 full prime galvanised corrugated ultra sheets rolled to BS3083/1988. These sheets have a dimpled finish internally so that should condensation occur will adhere to the sheet. The sheets have a manufacturer’s guarantee of 10 years against rust. Cement fibre corrugated roof sheets are available in Profile 3, 5 and 6. These sheets are similar to asbestos corrugated roof sheets. Plastisol coated Box Sectional sheets are available in numerous colours (Van dyke Brown, Black, White, Goosewing Grey, Terracotta, Olive Green, Red etc). Sheets are available in lengths up to 7.5mtrs. Also available are Plasticol coated steel flashings folded to requirements in colours to match roof sheets. Box profile Eco panels bonded insulated sheet for pitch roofs and walls. Sheets are available in lengths up to 7.4mtrs. (Only available in Juniper Green). Outer sheet polyester coated galvanised steel profile type 33/250. Insulation LPC rigid polyisocyanusate foam (PIR). Also available are Juniper Green flashings folded to requirements. Timber treated with a low odour preservative (finished stain/paint coats to be carried out by youself annually) UPVC finished in White, Rosewood and Golden Oak Plasticol coated steel flashings folded to requirements colours as above. It gives us particular satisfaction when our clients take the time to acknowledge their satisfaction by providing Garage Revamps with their testimonials. Ben came out and gave me a very competitive quote to make repairs to my garage. Garage now sorted, no more tarp! Thanks Ben. A friendly company who value their customers. Wouldn’t hesitate to recommend them. Ben came out a couple of days ago, was able to diagnose the issue, fix a price and arrived today to fix my garage door, genuine decent guy, would recommend him to anyone. These are a great Company. They’ve just replaced a garage roof etc for my Mum in Leeds and were fabulous. WELL DONE AND HIGHLY RECOMMENDED. Top quality job at a reasonable price, highly recommended! We are here to help and advise for all your requirements.